I just wanted to share the fruits of my labour yesterday. The children and I spent the day pottering in the garden, alternating between the shade and the sunshine. I have an attic stacked full of unpacked boxes, junk, and random bits of furniture which haven’t yet found a home. 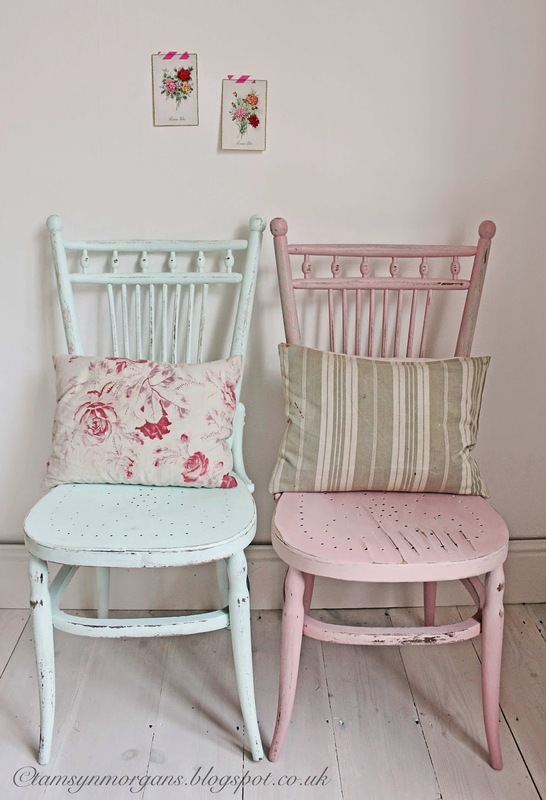 I pulled these vintage chairs out which I’ve had for years, and made it my mission to get them painted. They’re such a pretty shape, and I think they look lovely in their pastel hues. I’m thinking of making some cushion pads for them out of vintage fabric too.